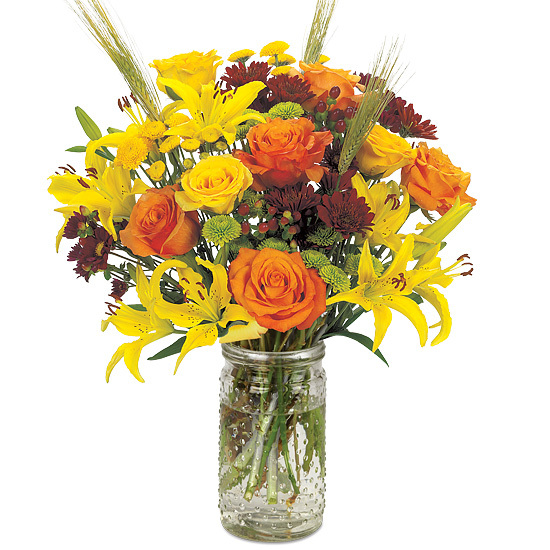 Capturing the essence of fall, this harvest-inspired bouquet commands attention with bold color and statuesque shape. 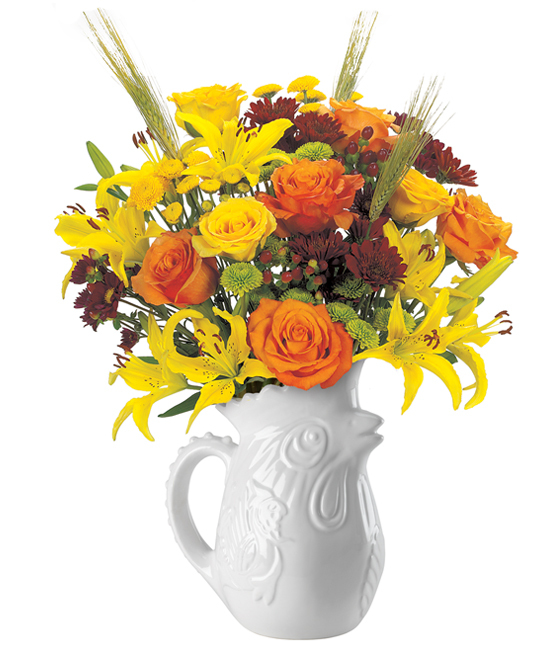 Overflowing from our rooster pitcher, the abundant mix includes trumpet-shaped Asiatic lilies, hypericum berries, button mums, daisies, poms, Orange Unique roses and sprays of wheat. As the lilies open, you may gently pull off the pollen anthers to avoid pollen dust. Be careful not to get lily pollen on your clothing or linens. You may wish to place a protective mat under your bouquet to prevent pollen from falling on your furniture or carpet if you do not remove the anthers. Always add fresh water daily. Trim away spent blossoms as your bouquet ages and rearrange if necessary.